Have you ever wanted a friendly personal virtual assistant who will play your music, read your books, get you to where you need to go on time, buy your groceries and MP3 music, and even schedule your events for you? The Amazon suite of Alexa voice assistant products can do all of that, and so much more. 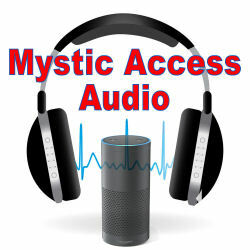 Mystic access is delighted to present our comprehensive audio tutorial on the line of Alexa sister products, and all that they have to offer. Open up the world of Alexa’s features, all with the power of your voice. Meet the Amazon suite of virtual assistant products, speakers which you can control with your voice and a website and / or mobile apps. The Alexa products are thoroughly explained and demonstrated in this audio tutorial, which is over eight and a half hours of comprehensive material. We do not, however, fully describe the capabilities of the screened Alexa products (the Show and Spot) in this tutorial. 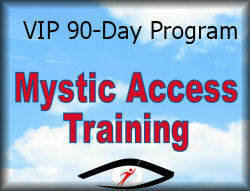 For more information on those products, please view this page. What are the Amazon Alexa products, and why might you want one? How to use the Alexa products with your voice. How to set up and use the Alexa products without sight. A full orientation and initial Setup of your device. A thorough orientation to echo.amazon.com, and the echo apps for iOS, Android and Fire OS. How to speak with your Alexa products upon successful setup, and a number of basic commands to get you started. Getting help with using your Alexa device. Alexa and getting the weather. Customizing your news with Alexa. Using your Alexa’s to-do list and shopping list, setting reminders, and integrating and using your calendar. Using your Alexa for traffic, sports and podcast-listening. alexa and skills… how to search for, browse, learn about, enable and use skills. Alexa and Bluetooth and the Alexa remote. Reading your books with Alexa… the Alexa products can read Audible and Kindle books, both of which are covered here. Alexa and smart Home devices. We cover how to use her with lights, vacuums, security cameras, and more. Alexa and calling, Drop-In, voice messages, and announcements. Using Alexa to set alarms, timers and sleep timers. Using Alexa in the kitchen. Alexa for math and conversions. Fun and fascinating things you can say and do with Alexa. This Alexa tutorial also includes all of the encouragement and motivating reminders that Mystic Access has become known for. The Encouragement Corner and Now It’s Your Turn sections will get you inspired to be more proactive, curious and excited about learning to use your Amazon Alexa products to the fullest. 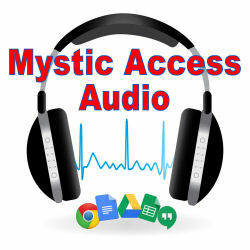 Your investment for this audio tutorial, (which is eight and a half hours in duration), is $39. Please click on the player below to listen to a sample of the Alexa audio tutorial.